Incredibly crispy baked chicken, coated in ranch dressing and rolled in crunchy seasoned cornflakes! Easy to make, and customize! 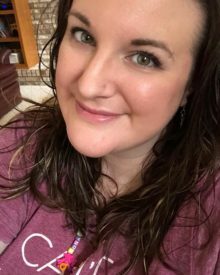 So I have to know… are you a ranch dressing fan? I live in a family of ranch dressing LOVERS, and I don’t actually care for it. I know right… a Midwesterner… who doesn’t like ranch?! I’m more of an Italian or French dressing person. 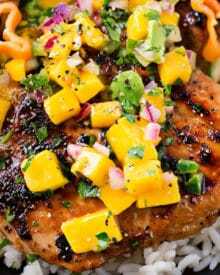 BUT, when I was testing this recipe, which I basically created out of sheer determination to get the kids to eat something I made for dinner, I actually liked the flavor here! 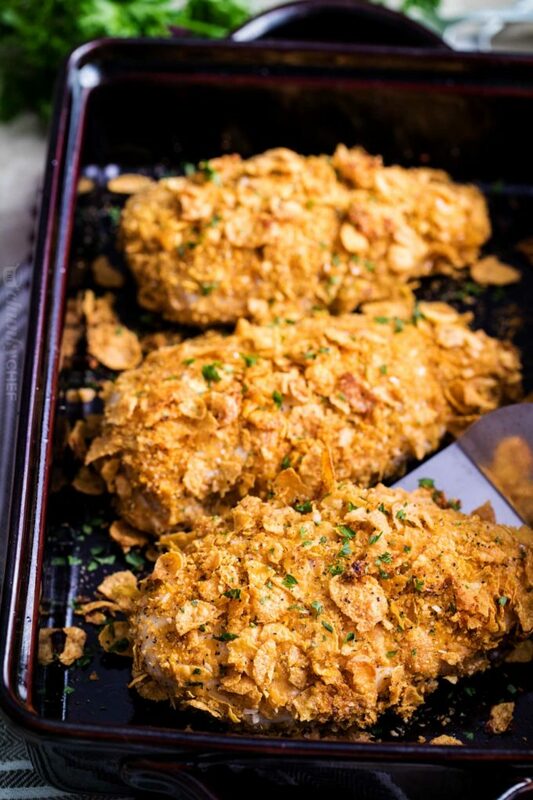 This isn’t your standard cornflake baked chicken recipe, I promise. 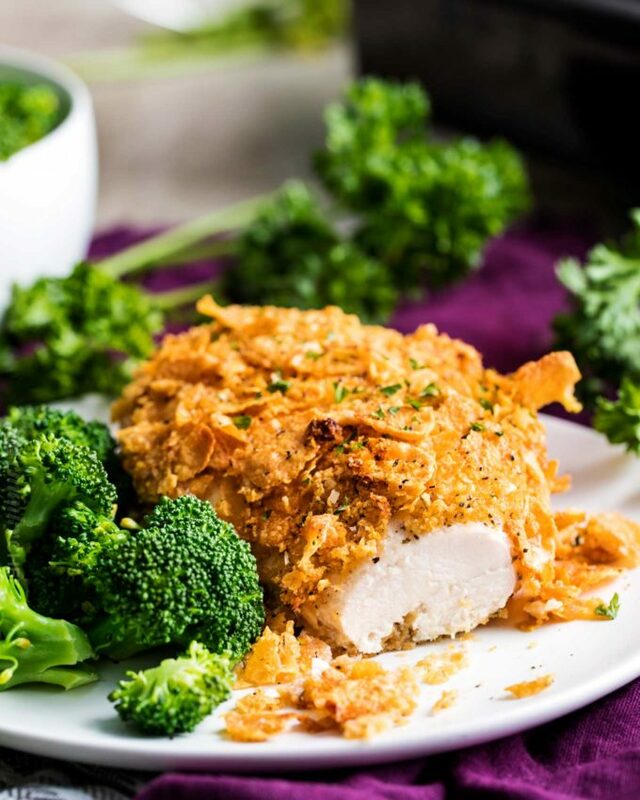 The chicken is coated in ranch dressing, then pressed into a cornflake mixture that’s spiced up so it’s full of crunchy flavor. HOW DO YOU MAKE CORNFLAKE CHICKEN? It’s actually one of my favorite method for breading chicken breasts, because it’s just two steps. 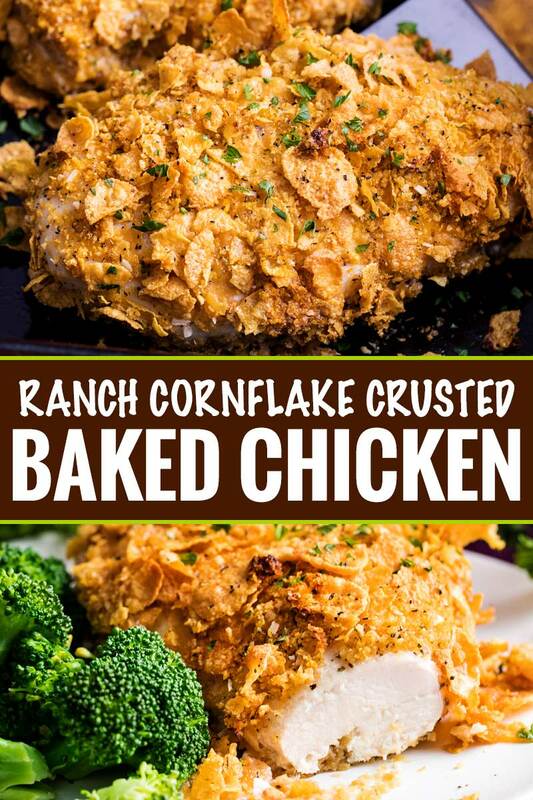 Just dip the chicken into ranch dressing and then directly into a bowl full of crushed cornflakes. After that it’s time to bake them until the juices run clear and a meat thermometer inserted into the thickest part of the breast reads 165 F degrees. 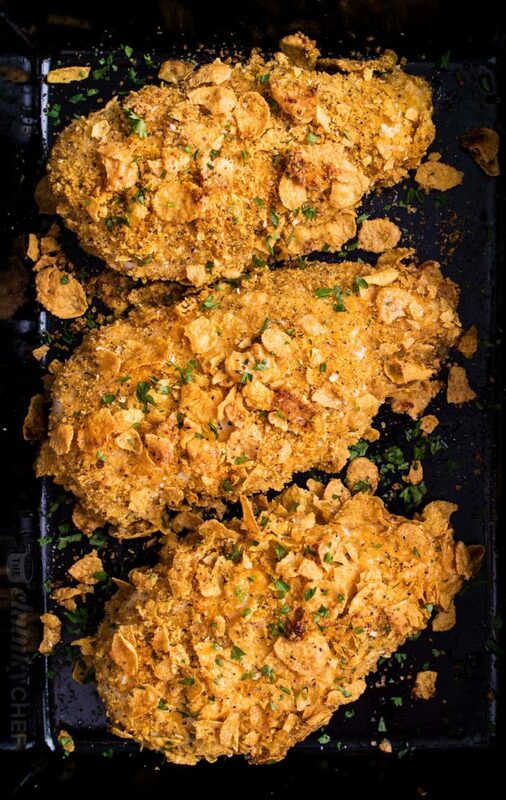 CAN YOU MAKE CORNFLAKE BAKED CHICKEN TENDERS? Absolutely! Or even chicken nuggets! Use the same method for breading, and just bake for less time 🙂 For chicken tenders, bake for about 15 minutes, and for nuggets, bake for approximately 8-10 minutes. WHAT IF YOU’RE NOT A RANCH DRESSING FAN? 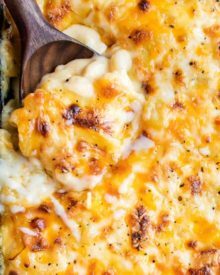 No worries there… you can make a similar recipe by using 1 cup of mayonnaise mixed with a little grated parmesan cheese and pepper. Use the same breading method and recipe and bake as directed. 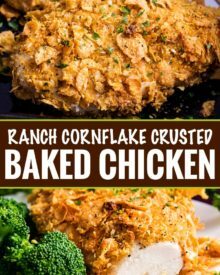 IS CORNFLAKE BAKED CHICKEN HEALTHY? Well technically no… since the ranch dressing isn’t the healthiest… but these tenders are baked instead of fried. 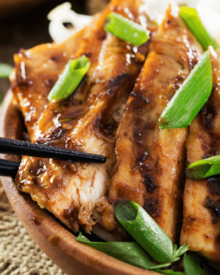 That helps reduce the fat and calories without sacrificing any of the tasty crunch-factor of traditional fried chicken. 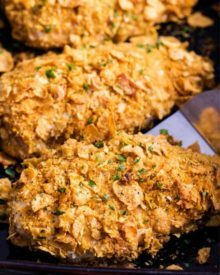 WHAT TO SERVE WITH CORNFLAKE BAKED CHICKEN? Trim the chicken breasts. In addition to trimming off the extra fat, I like to trim off the flap of chicken tender that’s attached to the back of the breast. This not only gives you bonus chicken tenders (yay!! ), it makes the chicken breasts all roughly the same size, so they’ll bake evenly. For more even coverage when breading, use a mix of finely and coarsely crushed cornflakes. My grocery store actually sold a box of crushed cornflakes that were similar in consistency to panko breadcrumbs. I use those and some cornflakes that I’ve put in a ziploc bag and crushed with my hands so they’re a little larger pieces. Use one hand for the ranch dressing dipping, and the other hand for the cornflakes. This helps you not “bread” your fingers and end up with a big mess to clean. Better yet, wear disposable gloves! Go crazy with the dipping sauces! We usually like bbq sauce, but honey mustard, ranch, or something with a little spice to it would be great too. 9×13″ baking dish – I love the durability of this dish. 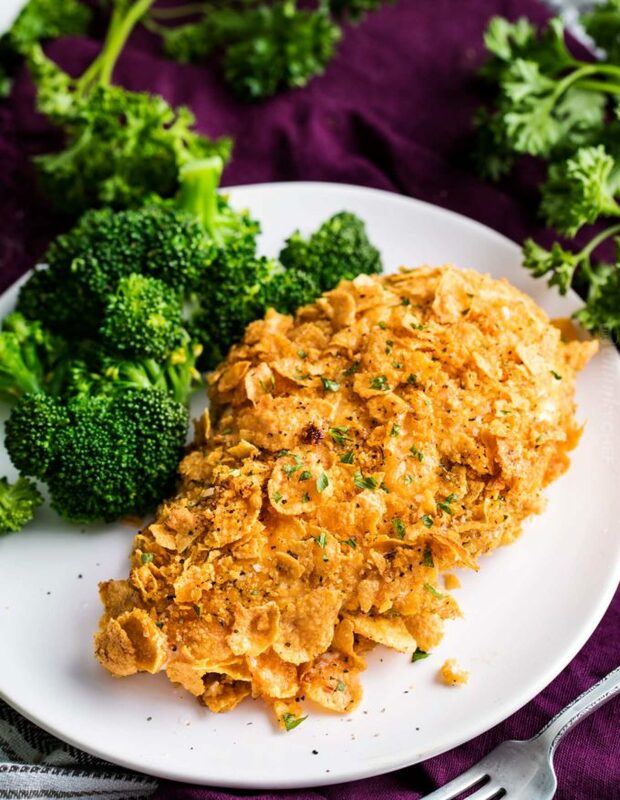 Cornflake crumbs – makes the breading process even easier! 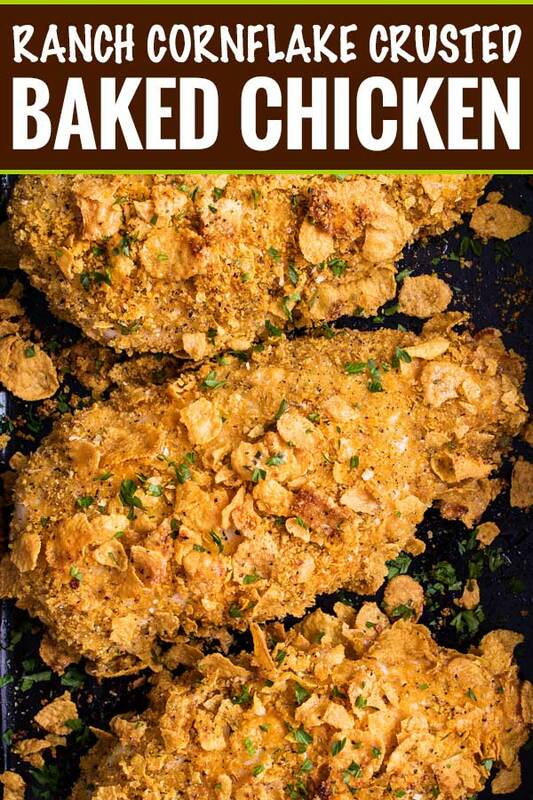 Incredibly crispy baked chicken, coated in ranch dressing and rolled in crunchy seasoned cornflakes! Preheat oven to 400 F degrees. Lightly grease a 9x13" baking dish or rimmed baking sheet and set aside. In a shallow bowl, add ranch dressing. In a separate shallow bowl, add cornflakes, Italian seasoning, garlic powder, paprika and salt and pepper. Dip chicken in ranch dressing, shaking off any excess, then dip in cornflake mixture. I pat the cornflake crumbs into the chicken to make sure they're well coated. 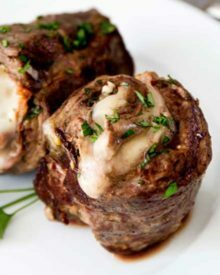 Bake for 30-35 minutes, until juices run clear and a meat thermometer reads 165 F degrees. Is it 3 cups of corn flakes crushed or enough crushed Corn Flakes to make 3 cups? I like to error on the side of extra crumbs (rather than run out during the breading process), so 3 cups of the crushed cornflakes. It looks so yummy! 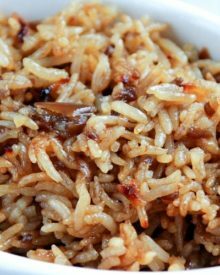 My family will love this for dinner any night of the week! Looks insanely delicious! Our whole family would go crazy for this, this is a winner! That looks so crunchy and delicious! This chicken is one of my favorites! 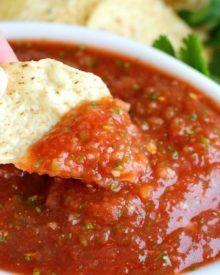 It has the perfect crunch and is so flavorful! 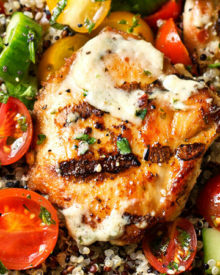 This looks like the best go-to dinner during the week! Love the use of cornflakes!